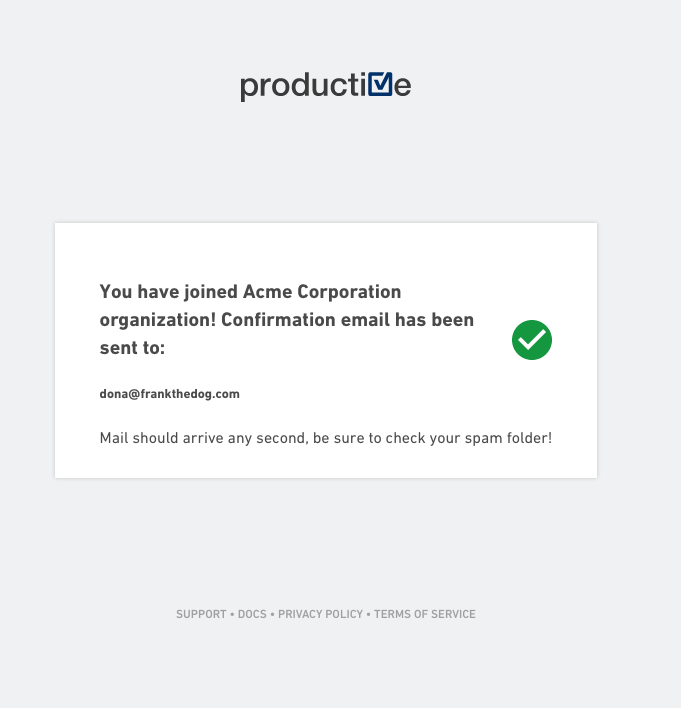 Inviting people to Productive is easy. 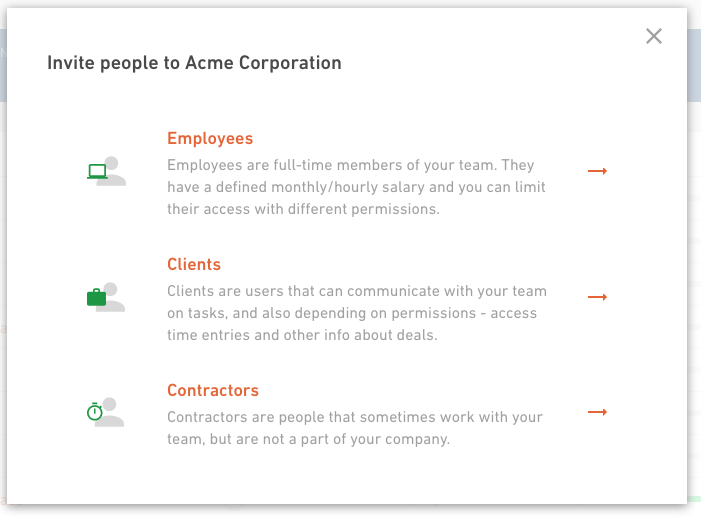 Learn how to invite employees, contractors and clients to your account. 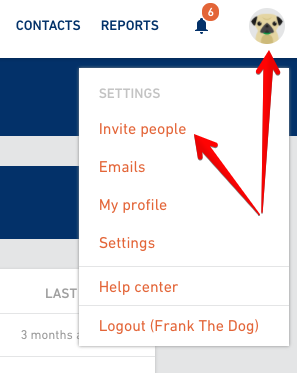 Go to your profile menu and select Invite people from the menu. Choose who you’re inviting - Employees, Contractors or Clients. Read more about different roles here. Put down e-mails of your co-workers to the list, one at the time. You can add as many e-mails you want. Once you’re done adding everybody you want, click on the Invite coworkers button, and invitations will be sent out to everybody on your list. Don’t know all the e-mails but would still like to invite people to join? We created a public link you can copy and send to anybody. 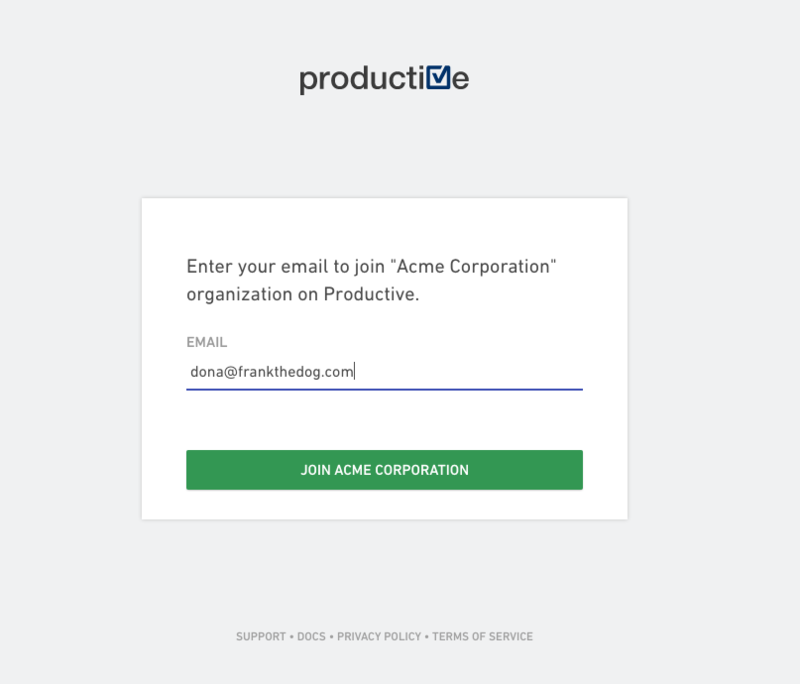 This way, everyone who receives a public link can put down their e-mail himself and get an invitation to join Productive.